This is something I never thought I’d appreciate. Because Sega Master System and Sega Genesis games (for the most part) come in rugged hard plastic cases (clam shells) I’ve never felt the need to protect the games in my collection. I always felt very lucky next to NES and SNES collectors who have to deal with cardboard cases. So often over the years NES and SNES boxes been beaten to a pulp or often just tossed into the trash. Sega collectors are not entirely immune to this problem. 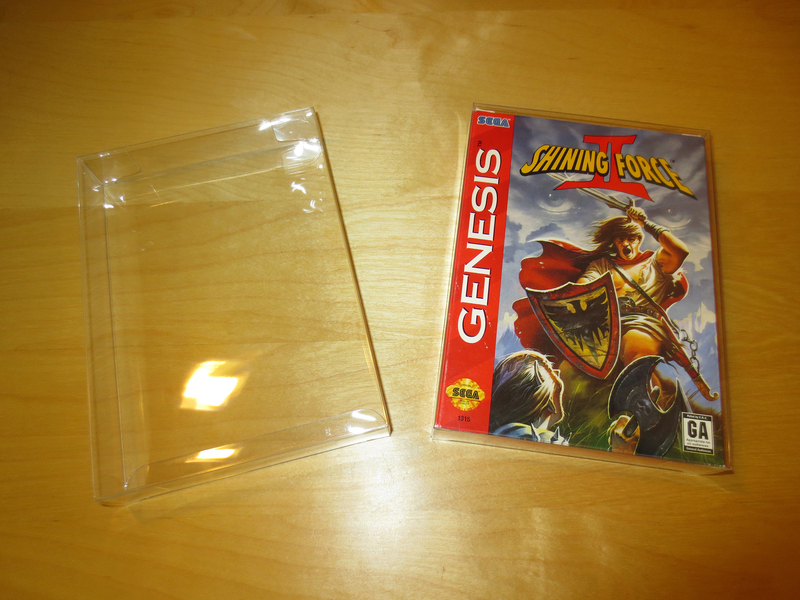 Nearing the end of the Genesis Sega starting using cardboard cases. 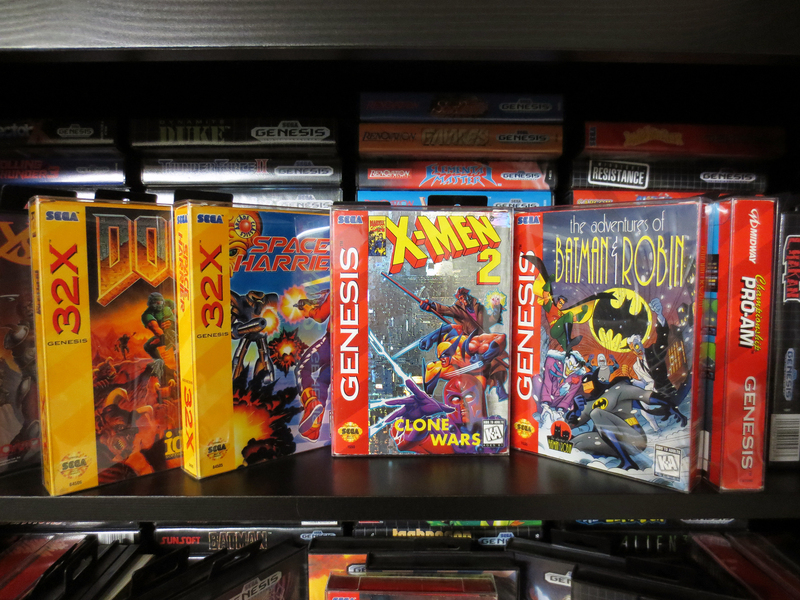 And just like Nintendo games it’s often hard to find good condition versions of these particular Genesis titles. 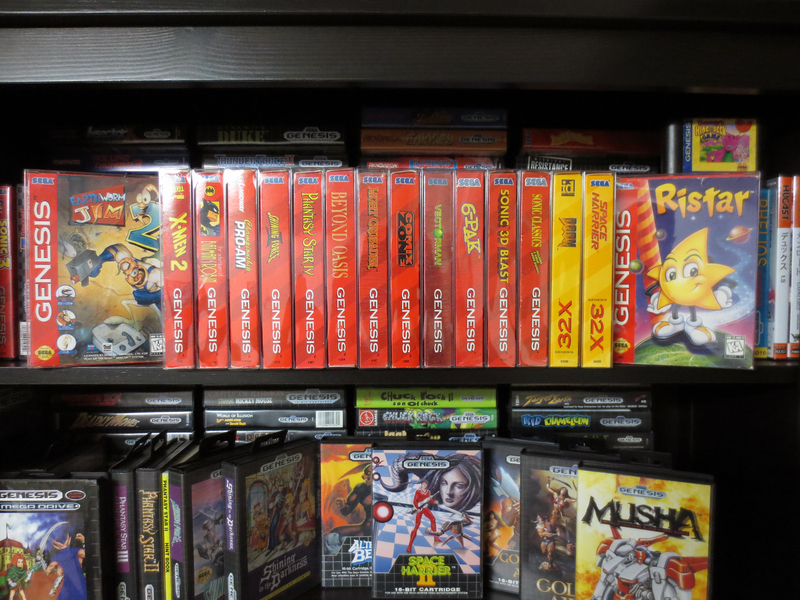 I recently purchased a few Genesis and Dreamcast games from a fellow collector on the neo-geo.com forums. 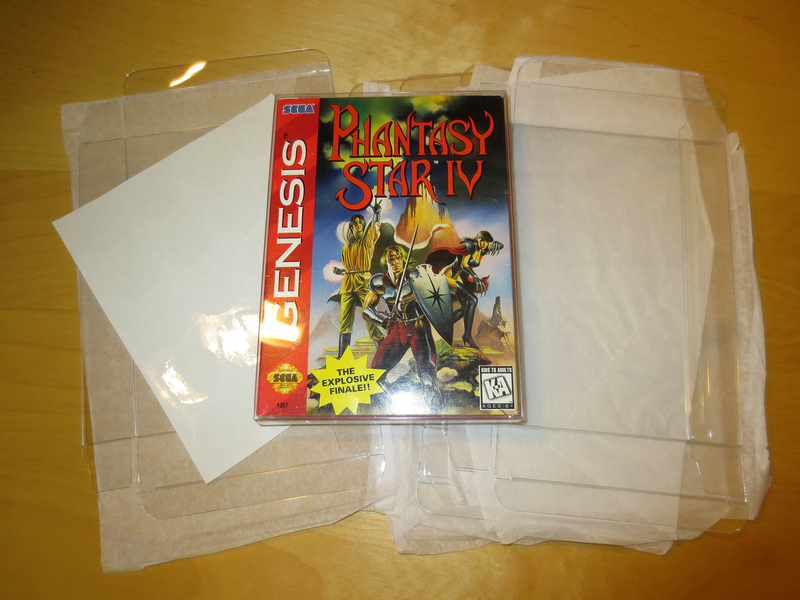 When I received these games they were in clear plastic box protectors. These games actually had their original hard clam shell cases so I took out the game and used the clear protective cases for a few of my cardboard Genesis games. What I didn’t expect how much nicer the cardboard games looked in the clear plastic boxes. 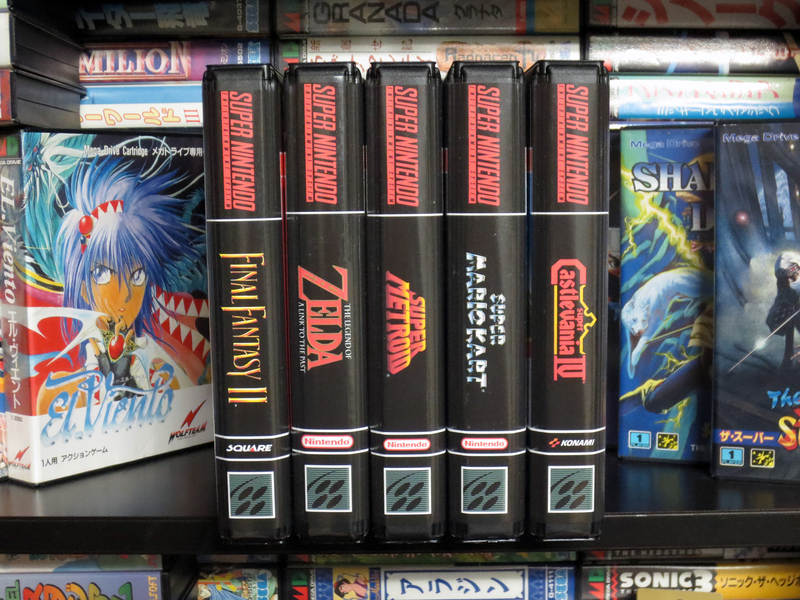 They were given a shine that made them look more similar the games in the hard plastic cases. None of my cardboard cased games are in perfect shape but in these box protectors they look great. So I went online and bought ten more. They ship flattened and padded with tissue. One empty and one with a game. These box protectors even come with clear circular sticker to place on the top and bottom flaps to seal the case closed. They are not needed. I spend so much time removing stickers from cases and games I don’t want to start adding them back. These cases have no trouble staying closed without these stickers. With shipping and after the exchange from USD these ten boxes cost me $21.20 CAD. $2.12 each is not super cheap for what they are but considering I wont need many it’s certainly cheap enough and I’ll continue to do this for any cardboard cased games that I might pick-up down the road. A few games decked out in these new boxes. All of my newly boxed Cardboard games. On the other spectrum of cheap are BitBoxes. Right now I have a handful of NES and SNES cartridges in the collection. Almost all are loose carts stacked up on top of each other. Compared to my Sega games they really don’t look very nice. My good buddy Nintendo Joe also wants his collection of Nintendo games to look pretty on their shelves and his solution is to use Universal Game Cases. I was very close to doing the same but for a long while I’ve have been aware of an alternate option called BitBoxes (from stoneagegamer.com). What held me back is the price. They are not cheap. I decided to try out a few and I bought five BitBoxes; complete with cover art. After shipping and the exchange rate they ended up costing me $12 CAD each. I suppose I’m somewhat acclimatized to the cost because of the $15 Shockboxes that I have been buying for my Neo Geo MVS games but the price is still really affecting how many I’m willing to buy at one time. BitBoxes for some of my favorite SNES games. These BitBoxes are much lager than I thought they would be. Not near as big as ShockBoxes but definitely much larger than original SNES cardboard boxes.Each BitBox can hold one game and a manual. And they feel very durable. It’s frustrating… why do they have to look so good?! I’m sure I’ll be getting more as time goes on. My one small saving grace is that my NES and SNES collection will never be as big as my Sega collection. I’m pretty sure about that… some what sure. Maybe? We’ll see. ← Waterloo Video Game Swap (VGCC) March 2015 Conclusion! I agree. And after seeing what Nintendo Joe has to do to his UGC’s in order to make NES carts fit I can say they really are a lot more work! I’m not at all surprised that you’re going to steer clear of BitBoxes. They are a lot of money and for the number of NES and SNES games that you have it really would cost an absolute fortune! Wow ! 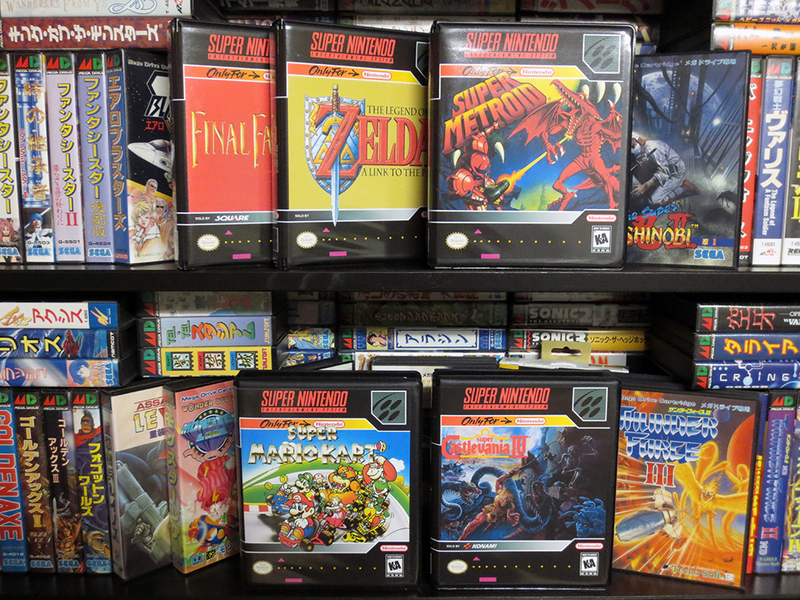 thats some awesome Super Nintendo Boxes…. Really nice ! Yeah, they are really nice. And really expensive. I still haven’t gotten anymore of them since these first five. I’m sure I will; cause I want more. But sometimes it’s hard throwing money at plastic.